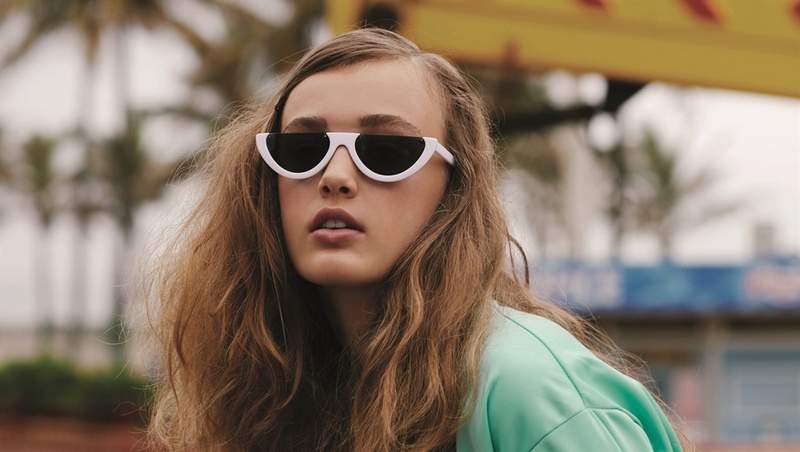 MRP X Project campaign with on-trend sunglasses. Here's my pick of the samples of sunnies that came across my desk this week. You've seen them everywhere by now. Most likely on the faces of a few influencers you follow. And in this MRP X PROJECT online exclusive. You know - those micro shades pulled down below your eyes or at least that rest on the bridge of your nose or even lower. I mean, aren't sunglasses supposed to protect your eyes from the sun or the flash from a paparazzi camera? So what's the deal with the teeny tiny sunglasses adored by Bonang, Bella and other beautiful people? It's part of the late '90s throwbacks that keep coming back that now include a steady tide of 'barely there, retina-skimming face furniture' that according to ID/Vice, Kanye has fallen so hard for that he told Kim that she couldn't wear big glasses anymore. Well, okay then. I'll admit my curiosity in trying the look on for size. I loved them dearly and remember asking everyone in the office if they suited me. They were kind of course and said yes. After a few wears and exposing photos, I realised they didn't and I've kept them safe in a box waiting for a moment I might be able to better pull them off. Pushed down to the tip of my nose they finally work. Ha! 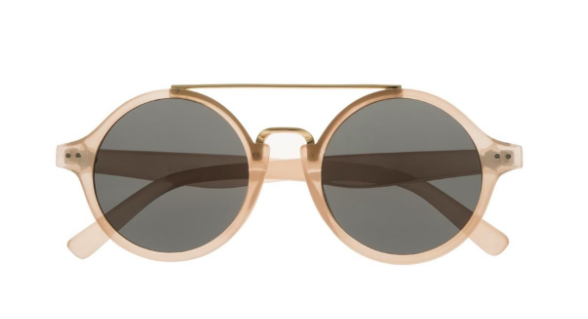 I'm very aware though the trend is not for everyone and some of us want sunglasses that are more than just for show, so, here are some alternatives to the barely there look. Sorry Kanye. These Emporio Armani's with purple frames and brown gradient lenses and overlapping blue from the spring/summer '18 collection are fun. 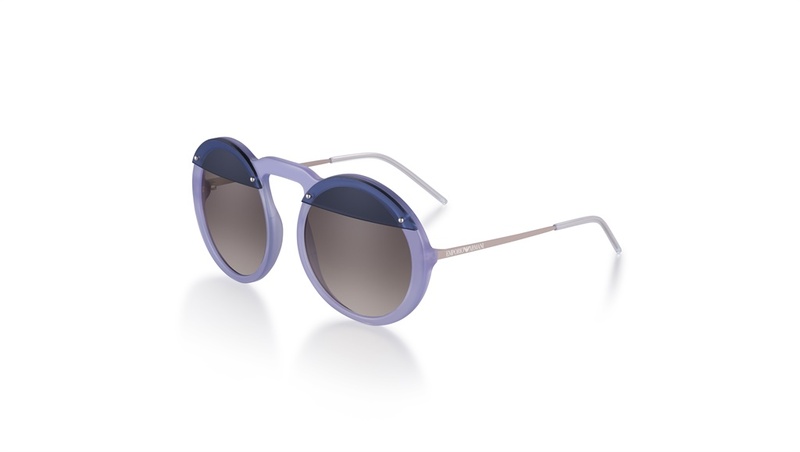 At R2190, they're available at Luxottica. Ray-Ban recently ran a Reinvention On Air campaign with local musicians to celebrate the evolution of four of their icons - aviator, wayfarer, clubmaster and round. 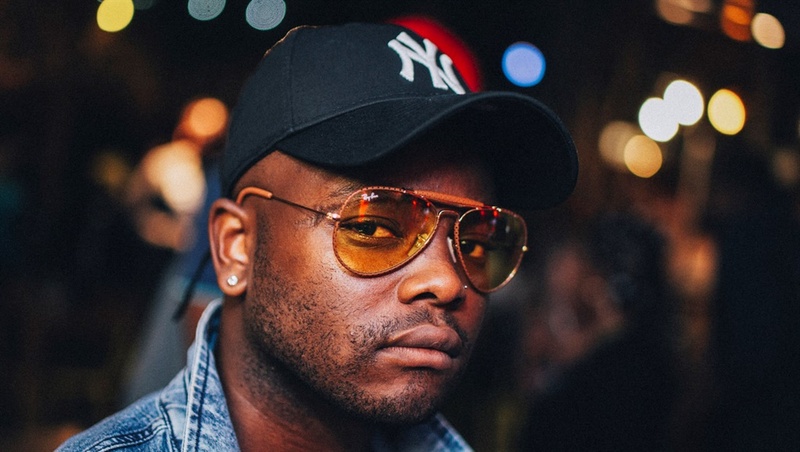 I'm quite in love with these aviators worn by rapper, 2Lee Stark. The latest aviator collection is available at Spree and this particular orange pair retails at R2990 at Luxottica.